Background - Aagoo Records has just released two packages of goodness simultaneously: The first is ‘Human Giving’, a full length album from Seattle-based four-piece Darto. The second is the 'Follow Up / Hush' 7” featuring Darto and Wand, who wrote and performed these tracks together. They have also released the new creepy video for 'No-Self'. 'Human Giving' was preceded by the single 'I Am', which The Big Takeover Magazine calls "a catchy sultry melancholic downtempo synth-infused psych-trip combining the best of Cate Le Bon, The Velvet Underground, The Brian Jonestown Massacre, and The Black Ryder". As the record progresses, splashes of Americana seem to emerge, painting subtle pictures of the American West, or a vast expanse that we would associate it with. It’s a momentary visit to those places as Darto keeps moving, exploring new worlds. The album closes in a cinematic soft way, where the constant is an emotional hook that dives into the human condition. This is an open story, suggestive but with room for the listener to fill in the blanks. Website here, Facebook here. Twelve gloriously unique tracks make up the new 'Human Giving' album. 'No Self' provides some incite into this collection. The band have a structured sound that is let loose in different directions, moods and feelings. The constant is a hypnotically addictive and often very catchy vibe. If you are looking for some music that is adventurous, different and also unpretentious, this album is all of that and more. Background - If artists are considered to be the summation of their influences, then the upbringing experienced by 22 year old Jennings Couch has served him up with a veritable feast from which to define his musical palette. Born in the urban wilderness of New York City, raised in the quiet tranquilly of rural England and made on the streets of West London, this is a man who embodies the virtues of his environments whilst imbuing his artistic output with reflections of all of his life experiences and observations to date. A chance meeting with record producer Kevin Malpass set Couch on a path to which music would take on central importance in his life. In Couch’s forthcoming debut album, the pair have produced a startlingly powerful body of work which manages to balance the notion of embracing universally appealing lyrical themes with a musical path less trodden; a conscious rejection of the preordained formulas commonly used to write music. The pitch perfect harmonisations and anthemic arrangements that Jennings creates provides fans with rich and varied soundscapes that compares to the likes of The 1975, Coldplay and Alt J. His lyrical content deals with a range of philosophical, social and scientific ideas from studies of time to quantum physics, demonstrating a level of intellectualism and maturity way beyond his years. It is an adoption of British eccentricity that goes beyond the novel or the skin deep, resulting in an enthusiasm for amassing retro collectibles, from pocket watches and clothing, to furniture and rudimentary tech. This is a character formed in part by his environment, yet utterly bereft of the notion of conforming. With Couch himself the embodiment of the archetypal classic front man, bringing a genuine drive and charisma on stage, theirs is a show like no other. 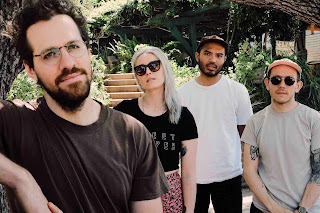 By early 2017, and having perfected their craft week in and week out at numerous haunts across the UK, Couch’s band were on their way to Austin, Texas to perform at SXSW. Initially only invited for one show, they managed to gain the attention of numerous promoters and demand was such that they were added to the line-ups at both the The Apple Music House and the BBC British Music Embassy at Latitude 30. It was a vote of confidence embraced with open arms. 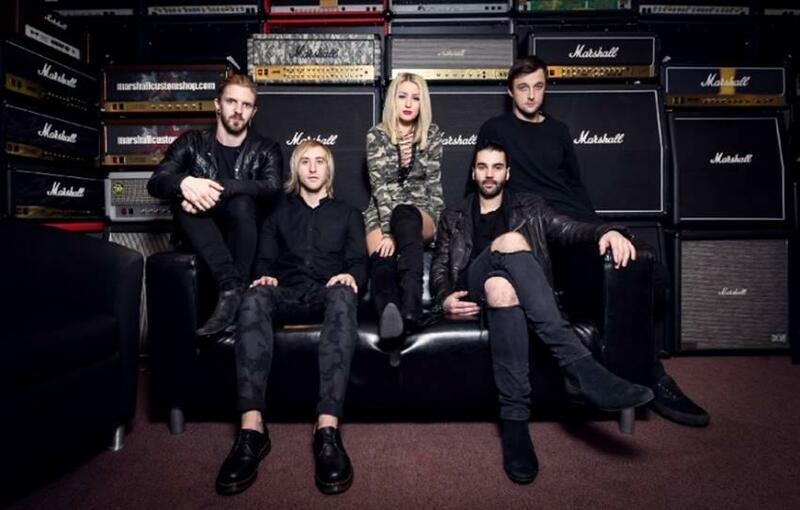 Jennings Couch’s new single ‘Serotonin’ is a powerful alternative rock song inspired by the neurotransmitters within the human brain and their effect on behaviour. He has once again managed to take an idea so abstract such as neuropsychology and morph it into the relatable subject of two lovers. Through enchanting lyrics and trance- inducing melodies, Jennings Couch urges the listener to delve into the world of Freudian psychotherapy, just for a moment. The accompanying music video, taking the form of a Victorian therapy session, reinforces the entrancing nature of the music. Website here, Facebook here. The vocals are striking from the very start, the melody and hooks are quickly present as well. I have some personal knowledge regarding 'Serotonin' and how it effects our behaviour and mood. The song is sensitive to something that can have a huge impact on an individuals life, & the video is for me amusing and just right for such an impressive song. Expanda Fuzz - The Last Of The Who Heads. Background - Expanda Fuzz is a duo from Ottawa, Ontario, Canada, conceived while attempting to rip apart a Pink Floyd song with a distorted bass and a fuzz-driven guitar through a ripped speaker cabinet...while playing to a Roland 404 sampler. The result of that experiment can be heard on the duo’s first record ‘Bleuets’, where they showcase their brand of catchy, drone-y, post-punk songs that hook heavily into a psych-garage sound. Think Kim Deal fronting the Velvet Underground, or Mary Timony jamming with Suicide. The band was formed in 2016, and during last year, they performed notable festivals like Ottawa Explosion and Edmonton's Up + Downtown Festival. They released their first EP 'Bleuets' in the late summer of 2016. That was followed, appropriately in September with the single 'Sonic Halo', an original track backed with Earth Wind and Fire's 'September'. Now in 2017 we have the latest release - The Last Of The Who Heads. Facebook here, Bandcamp here. The title track from the new EP is 'The Last Of The Who Heads'. 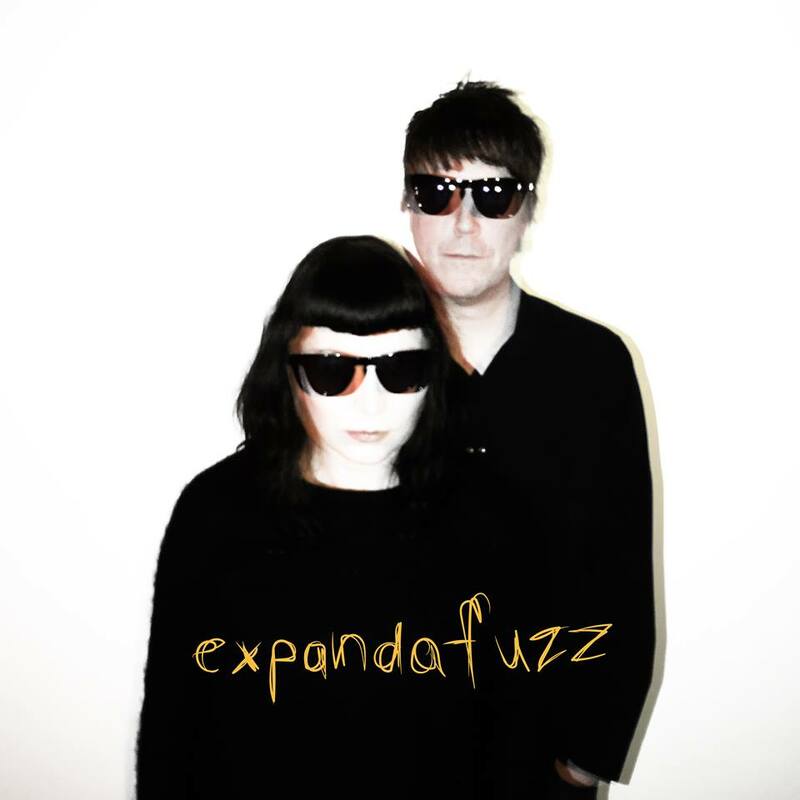 This is our second feature for Expanda Fuzz (the first was last December), and they have come up with a three track EP that builds considerably on previous works. Powerful, warm and intense rock, that cuts to the chase, the duo really are carving out a defined sound of their own. Background - There’s more to a story. Glances is a recording project out of Chicago, Il. In 2012 Micah Waldron moved into an artist loft in Chicago’s Pilsen neighborhood where he met Ashley Thompson, cute. About a year later Ashhh spent some time on a farm in Hawaii where she met Christian Whiting (Chin). Through her persuasive nature she convinced Chin to move to Chicago where the three of them started playing music together. Eventually an album started to form. It was an accident. ‘I feel very close to you right now’ is a collection of songs that strive to portray the the hidden meaningfulness of impermanence by examining it through the context of a relationship. Before we weren’t close, now we are, soon we will not be. It’s meant to be listened to, preferably together. Website here, Facebook here. 'SEM' is the second of ten tracks on the new album. Glances seem to go with their imagination wherever it might take them. Creative and imaginative, the album has no particular genre that can label the music. The featured song gives some idea, expect a lot more, I would also agree with the bands view, that this is an album that is at it's best, when listened to as a whole. The Dirty Youth - Hurricane. 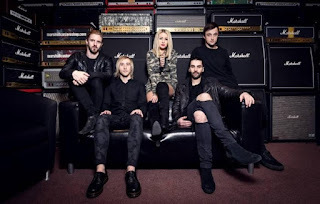 Background - The Dirty Youth are back with their explosive new single ‘Hurricane’, released on Friday 22nd September through Marshall Records. The band kicked off 2017 with the announcement that they were the first band to sign to Marshall Records. This was followed by the news that they would be heading to the legendary Abbey Road Studios to lay down new material. ‘Hurricane’ was released 22nd September through Marshall Records and is accompanied by the B sides ‘San Frandisco’, ‘Hurricane (Acoustic)’ and a remix of “San Frandisco” by New Black Light Machine. Website here, Facebook here. The choruses on 'Hurricane' explode into powerful, full on rock & it's the verses that are more understated & melodic. Epic? You bet it is! 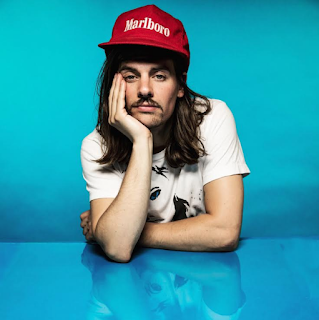 Background - Chicago-native singer, songwriter, and multi-instrumentalist Jude Shuma has cultivated an indie-meets-chillwave sound that indisputably harnesses its charisma from a stimulating psychedelic style. To date, Shuma has released three critically-applauded EPs, 'Afternoonified,' 'Biggest Hits,' and 'Insomnium,' that have awarded the artist syncs in some of TV's most recognizable programs including HBO's Ballers, CW's Riverdale, and ABC's Quantico. Shuma's provision for fans after the two single releases of "Lemonade" and "Reflection," is a new full-length album Reflection. Jude's fourth project provides a further appreciation for those familiar with Shuma's dexterous aesthetics, as the album consists of nine tracks that traverse Shuma's trademark sedative style from "Coasting," to "Dreaming," and finally ending with a "Champagne Cigarette." Throughout the record, Shuma's ethereal vocal style shines atop a mixture of strummed guitar melodies and additional organic instrumentation. Fully encompassing the psychedelic nature of the music, Shuma has also released an official music video for album cut "Reflection," which sees Shuma create a fanciful world of the bizarre. Exploring the oddities of suburbia, Shuma fully envelopes the viewer into his world where abnormalities and social faux-pas reign free. Facebook here. There is just a hint of The Beach Boys 'Surfs Up' era feeling to 'Reflection'. View that as a complement, this is no copycat affair. 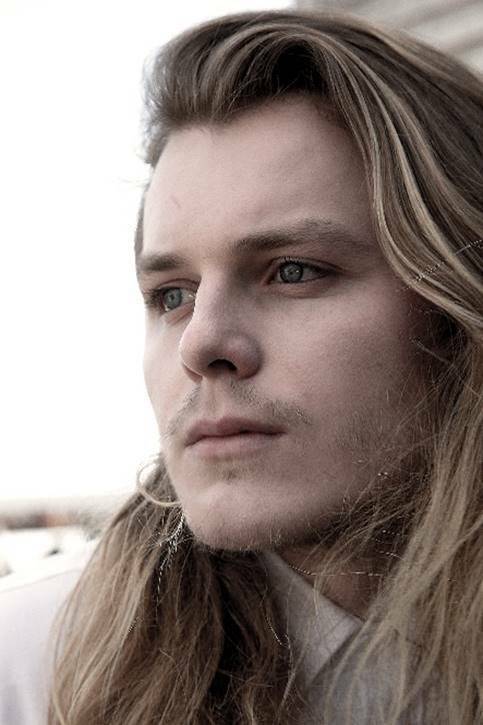 Gently psychedelic and dreamy, this is a wonderful, melodic and enticing song.